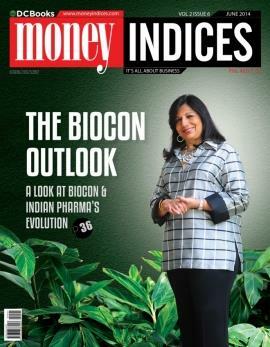 Money Indices, truly dedicated for entrepreneurship, commerce & personal finance is an emerging business magazine for the present generation business magnets. 'Money Indices' covers latest news and articles on politics, business, entrepreneurship, stock market, corporate, real estate, retail, technology. Insights on international news and science can keep the readers engaged till the last page. Read more to know about 'Money Indices' a magazine for the present generation business tycoons. Among the number of business magazines, the name 'Money Indices' stays different for developing a new reading culture in the society. Truly dedicated for entrepreneurship, commerce & personal finance, 'Business Indices' is an emerging business magazine for the present generation business magnets. 'Money Indices' covers latest news and articles on politics, business, entrepreneurship, stock market, corporate, real estate, retail, technology. Insights on international news and science can keep the readers engaged till the last page. With a brilliant core team of experts working behind the screen, this business magazine delivers the best from the international and national trade market with news related to money and commerce. To be named as a personal investment advisor, 'Money Indices' is much popular among the young business people and industrial tycoons. Being one of the most emerging magazines on business and trade, 'Money Indices' finds its place in the hearts of young investors. Published by DC Media, 'Money Indices' has a pan-Asian reach and covering all areas ranging from entrepreneurship to finance and business. With a reach of 40,000 plus copies, each issue of the magazine will be packed with path breaking cover stories based on extensive research and its findings. Selective features and columns from different market economies and corporate world find place in each issue of this periodical. Some of the interesting topics which got featured in 'Money Indices' include economic roundups (Asian countries), currency and exchange rate trends (global), politics in Indian economy and top NBFCs operating in Indian sub-continent. Some of the other projective articles on Indian MNCs undertaking of global missions, vibrant entrepreneurs of Asia, inimitable start-ups in India and top private equity firms having centric plans in India give an international flavour to this magazine. Case studies made on the major SMEs in India, success stories in agriculture, personal finance and upcoming brands in India keep the interest high while reading from top to bottom. For the frequent questions related to banking and finance, the response given by Bank CMDs, industry captains and financial experts makes the magazine more reachable among the mass. With offices setup in UAE, Bengaluru, New Delhi and Kochi, other than the print edition, Money Indices also maintain a searchable online archive along with a variety of web-only content, including blogs and debates. The magazine will be available at the DC book depots across the state while it gets displayed at all major international business-related expos too. Education Insider magazine published by DC Media, the media division of DC Books is an emerging publication which comprehensively covers on Education with an innovative approach. The highlight of this magazine is the plausible, reliable and detailed news and views on education. Read more to get an insight about 'Education Insider', the emerging monthly magazine, which is solely dedicated to the reading community who think about prospective in life.